Many operators are looking to increase production from older wells in mature reservoirs to maximize field recovery. A key strategy to accomplish this is to leverage new technology, such as multi-stage fracturing systems. 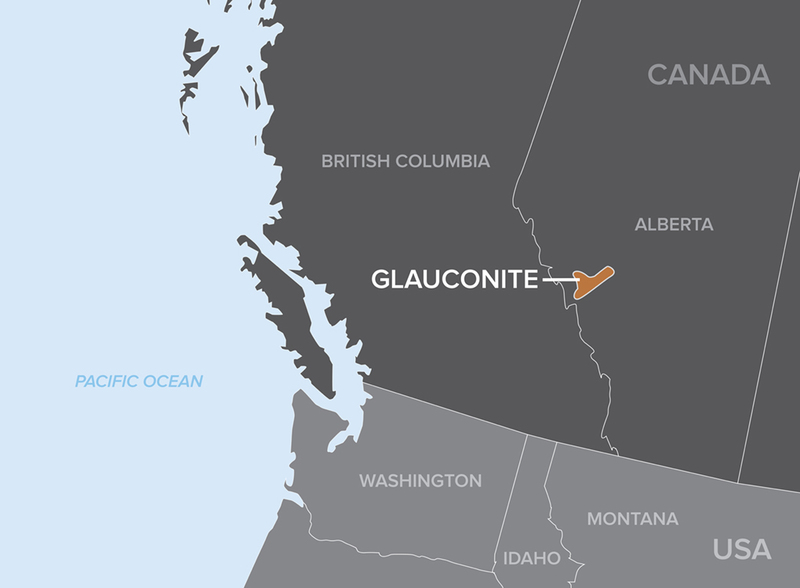 An operator working in central Alberta was interested in re-stimulating a horizontal, cased hole well targeting the Glauconite formation of the Lower Cretaceous Mannville Group. The well was over 10 years old and was originally completed with 4.5-in., 17.26 kg/m L-80 casing cemented to surface. There were two existing sets of perforation clusters from the initial stimulation treatment approximately 100 m (328 ft) apart, a third of the way into the 900 m (2,953 ft) lateral. To maximize the re-stimulation of this well, the operator wanted to shoot new perforation clusters to cover the entire lateral. Effective stimulation of these clusters would require a diversion method that would allow stimulation of the new perforation zones, as well as the ability produce from the existing perforations. The solution involved designing a 4-stage StackFRAC® Slimhole system using a 2.875-in. liner to re-enter the original 4.5-in. cemented casing. Three new sets of perf clusters were shot approximately 150 to 300 m (492 to 984 ft) apart along the horizontal. FracPORT™ sleeves were strategically placed for targeted fracture through the new perforations as well as to allow for production from the existing perforations. The system design included a Pump Out Plug and a RockSEAL® IIS packer, which provided added anchoring to frac out the perforation cluster located at the toe (Stage 1). The next three stages used two RockSEAL II packers and three FracPORT sleeves: two located at the same depth as the new perforations (Stage 2 and 4) and one set in the middle of the two existing sets of perforations (Stage 3). The StackFRAC Liner Hanger Packer served to isolate the top of the fourth stage. The tools were run into the cased hole to the designed depth without incident. All FracPORT sleeves opened, demonstrated by spikes in the surface pressure gauge, and approximately 100 tonnes (220,462 lb) of proppant were successfully placed in the three treatment stages in one day. The initial 3-month production rate, not including the flowback period, was over 1,900 mcf/d. 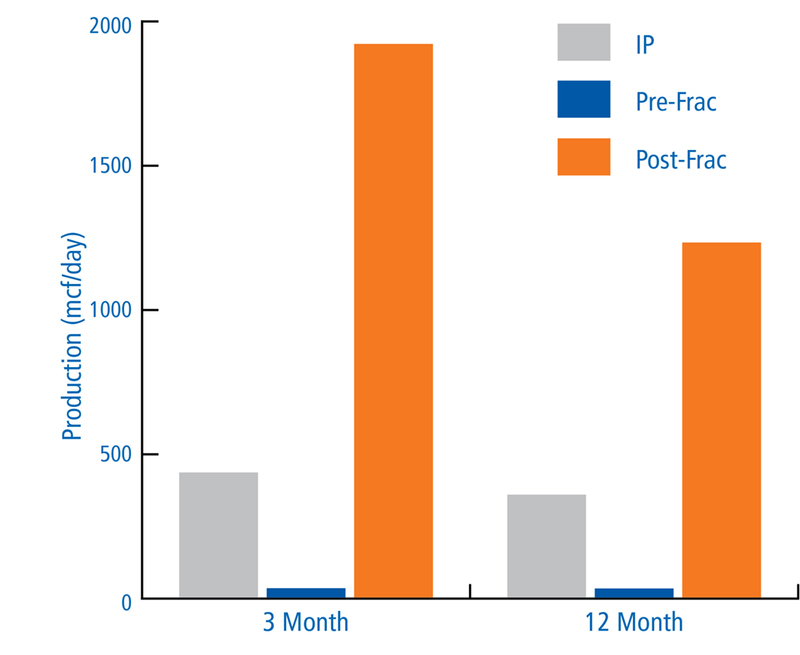 This equates to an increase of over 50 times the pre-frac rate and over 4 times the 3-month IP obtained from the original completion (Figure 1). In one year, re-stimulation with the StackFRAC system resulted in over 435,000 mcf of additional gas. These results demonstrate the utility of the Packers Plus StackFRAC system to increase production rates from previously completed, cased hole horizontal wells. This gives operators the opportunity to access untapped reserves to maximize their recovery from mature fields.